Eight core sectors grew at their slowest pace in 18 months at 2.6 per cent in December 2018 due to fall in output of crude oil, refinery products and fertilisers, official data showed Thursday. The previous lowest expansion in output of these key industries was recorded in June 2017 at 1 per cent. The growth rate of the eight infrastructure sectors -- coal, crude oil, natural gas, refinery products, fertilisers, steel, cement and electricity -- stood at 3.8 per cent in December 2017. Crude oil, refinery products and fertiliser production recorded negative growth of 4.3 per cent, 4.8 per cent and 2.4 per cent, respectively in December 2018. Growth of cement and electricity sectors slowed to 11.6 per cent and 4 per cent in December 2018 as against 17.7 per cent and 4.4 per cent in December 2017, respectively. However, coal, natural gas and steel output grew by 0.9 per cent, 4.2 per cent and 13.2 per cent in December 2018. 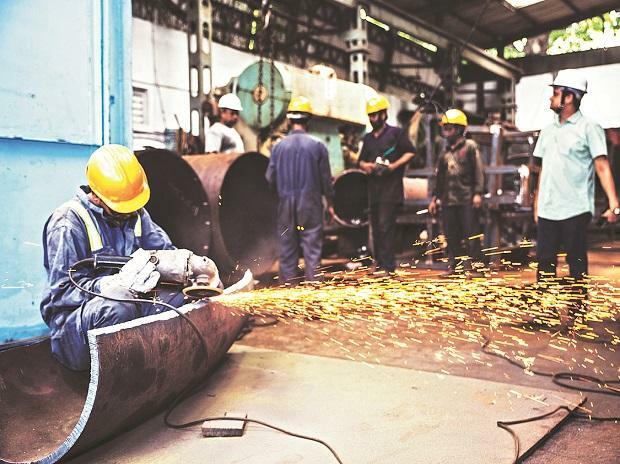 Slow growth in the key sectors would also have implications on the Index of Industrial Production (IIP) number as these segments account for about 41 per cent of the total factory output. According to Commerce and Industry Ministry data, during April-December 2018-19, the eight sectors recorded a growth of 4.8 per cent as compared to 3.9 per cent in same period of the previous fiscal.